Southern In Law: We Need Your Help! 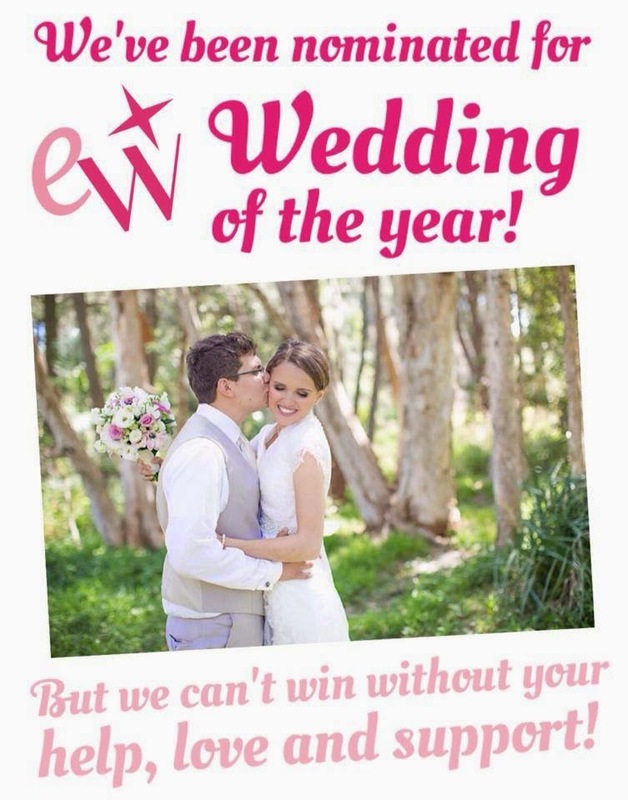 As you may already know, we have been nominated for Easy Wedding's Wedding of the Year 2014! This is a hugeeeeeely exciting thing for us and our incredible ridiculously unbelievable wedding photographer, Lucie Zeka who has become a great friend of ours. Voting closes TOMORROW and the winner will be announced on Friday (for some reason the website is showing there's 8 days left to vote - but there's actually only two!) and we really cannot win without your support. Vote for our wedding by clicking the "vote" button under Kristy and Jesse on this page. If you've already voted, you can vote again! If you'd like, share this post with your friends and family on Facebook so that they can vote for us too. Send me a comment/message/email letting me know you've voted so I can give you a hugeeeeeeeeeeeee virtual hug. There are so many things we couldn't do if it weren't for you! I've been voting every day, although it took me a while to realise I could do that :) Good luck! Voted ! I can't believe how great the pictures are ! The photographer did just perfect, and you and Jesse both look so happy !